Banter, or informal and spontaneous chatting, gossiping, joking and storytelling, can be incredibly beneficial for young children. Researchers Betty Hart and Todd Risley found that daily exchanges between a parent and a child shape language and vocabulary development. Informal talking with children (banter) expanded their knowledge and skills, and had lasting effects on their performance later in life. Research also shows that 86% to 98% of the words used by a child by the age of 3 are derived from their parents’ vocabularies! Banter is one great way to build a language-rich environment in the early childhood years. By talking to your child about your neighbors, the weather, your weekend plans, the funny thing that Grandpa said, the construction project across the street, a dream you had last night, the phases of the moon, a trip you took once, or a silly song you learned – you grow your child’s vocabulary. These stories show kids that when they mess up or experience a challenge, they can work it out. Banter brings you closer to kids. You connect through listening and sharing your own experiences, thoughts, dreams, musings and observations. By interacting, you offer moments of presence that nurture your parent-child relationship. Banter can also be playful, joyful and involve lighthearted fun and teasing. There’s a real art to banter, to being able to talk to people about anything (and listen even better). Conversations provide the foundation for a child’s future relationships to thrive. Many other topics may fit into your unique life, and banter is most beneficial if your individual personality shines through them. The best banter is a compelling combination of asking questions, listening, laughing and bringing up topics. Banter is a great fit for down time, such as meals, driving, waiting in line, bath time, waiting for kids to get ready for school or walking. 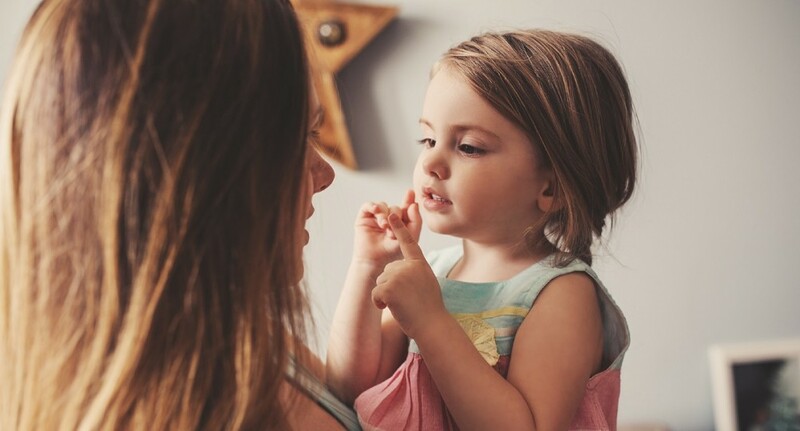 Every parent needs to recharge and “do their own thing” at times, but making an effort to chat with your child during some of the quiet spaces of the day can result in huge dividends. Parts of this blog have been excerpted from book “The Joy Fix for Weary Parents” and have been published previously on Psychology Today. Erin Leyba, LCSW, Ph.D., author of the forthcoming book “The Joy Fix for Parents: 5 Steps to Overcoming Fatigue, Guilt, and Stress and Building a Life You Love,” is a counselor for individuals and couples in Chicago’s western suburbs, you can find more at erinleyba.com. Sign up to receive free updates on thejoyfix.com, or follow her on Facebook or Twitter.